Looking for Sabah tour package? 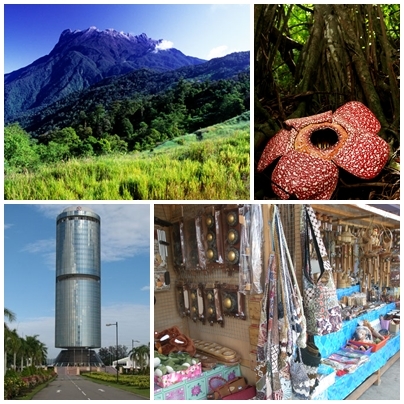 Search no more, this is here you can get the best of Sabah Malaysia. Come explore not only Nabalu Market, Kinabalu Park, Poring Hot Spring, and Kundasang area, but also explore the islands of Manukan and Sapi Island. They are waiting for you right here right now! Meet and greet at the airport and proceed for city tour to explore Kota Kinabalu or “KK’ as it is popularly known, is a pleasant Borneo surprise, set between lush tropical hills and the South China Sea. It is the state capital of Sabah and a resort-city of exciting contrasts – vibrant, serene and hassle-free, with modern infrastructure and many attractions. 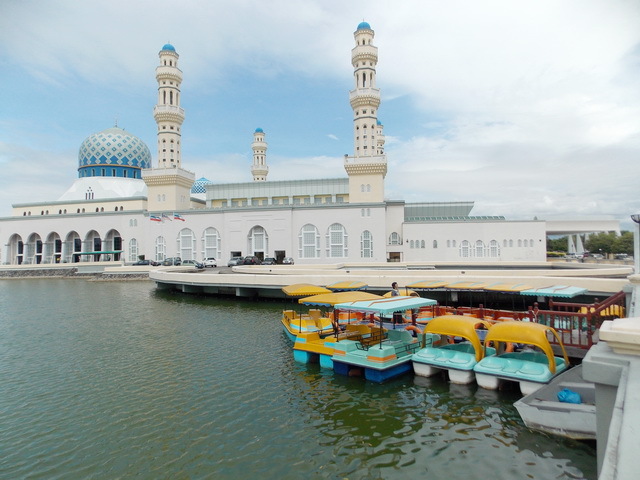 Tour features State Museum, Puh Toh Tze Buddhist Temple, Wisma Tun Mustapha (formerly known as Sabah Foundation Building), and State Mosque. Drop off at Shopping Complex or Handicraft market and then return Gaya Centre Hotel & overnight. After breakfasts, Meet our guide and driver at 0800hrs at hotel lobby and transfer to and embark about 2 hours to Kinabalu Park. En-route stop visit the Pekan Nabalu for photo stop or buy local produces/ Handicraft. 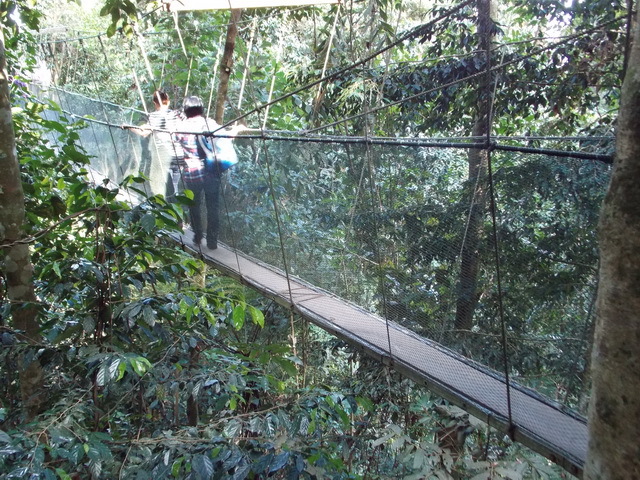 Proceed to Kinabalu Park, a botanist’s paradise that was declared a World Heritage Site by UNESCO. It covers an area of 754sq.km with an altitude range up to the summit of Mt Kinabalu standing at 4095.2m above sea level. The park is home to the various species of flora and fauna. Lunch at Kundasang Area. Proceed to Poring Hot Spring. Upon arrival, experience the Poring forest canopy walk and see the spectacular view of tropical rainforest from 100-200ft above the forest floor lead by our guide. The trail is quite steep and the walk takes 30-40 minutes altogether. Enjoy an invigorating mineral bath in the outdoor tubs based on first come first served or just explore the area. Pack all your belongings and return to Kota Kinabalu then overnight at hotel (Breakfast, Lunch) For dinner, you are free to go on your own. After breakfast, meet our guide at 0900hrs from hotel lobby and transfer to Sutera Jetty / Jesselton Jetty for your boat scheduled at 09.30hrs to Manukan Island. Free and easy or enjoy some of the water sport such as Jet ski, Parasailing or banana boat which can be arrange with tour guide or water sport staff (Pay locally). You may also enjoy swimming, snorkeling or just exploring the area. Snorkelling mask will be provided. 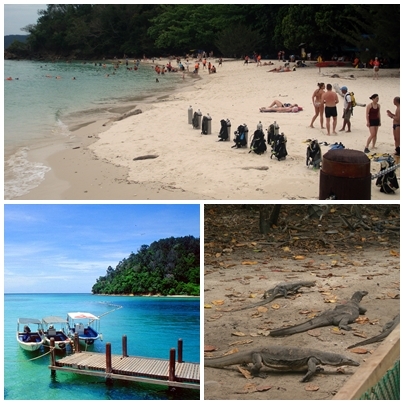 At 1200hrs, take your transfer to Sapi Island to explore the island more. You will have your lunch at Sapi Island. Include: 3 nights stay at Gaya Centre Hotel (3 star) or similar on twin/triple share with breakfasts, Manukan & Sapi Island, Jetty Fee & Boat Fee, Entrance fee to Kinabalu Park, Poring Hot Spring, Canopy walk, guide, meals as stated and city tour, airport transfer. Exclude: Air ticket, Guide tipping at rm5 per pax per day, and personal items.